Submitter: I found this gem while loosely organizing and heavily weeding a collection of books at an after-school program center on one of our Indian reservations. 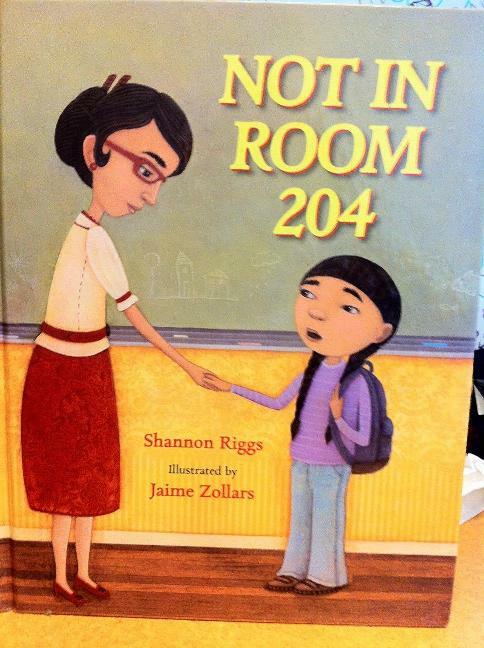 Alcoholism is a massive problem, but I don’t think there is anything about this book that’s going to help Rez kids. Holly: Here at ALB we like a funny post as much as the next person, but every now and then a book surfaces that reminds us of our main point: every library has its mission, which needs to be reflected in its collection. 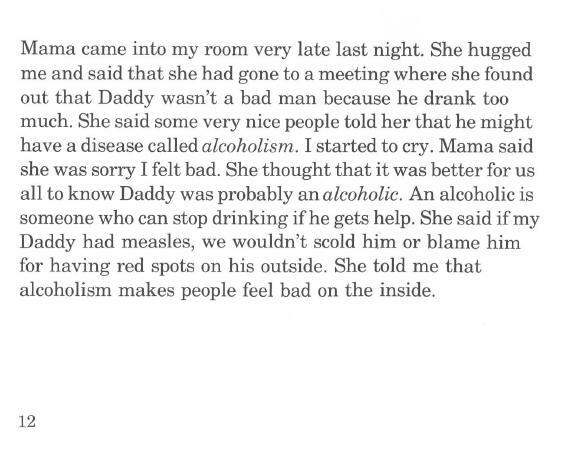 This 1977 book isn’t helping anyone, but it is particularly useless in a place where alcoholism is a chronic issue. Those kids need something timely that relates to their culture and experiences. This book isn’t relevant enough to the specific library in which it was found. Sweet goodness, those pictures are UGLY. It reads weird and I bet it smells funny, too. There HAS to be something better than this-right? The cover looks like someone is holding up a decapitated child’s head. That kid does not look very impressed with her ‘good book’. She looks pretty grumpy; not that I would blame her for being grumpy. I was wondering when this ‘classic’ would come to light. It’s been mentioned here before. HA! I saw this at a garage sale a few months ago (for a nickle), and grabbed it while thinking of Awful Library Books. Just never got around to scanning it and submitting. Satu: My copy doesn’t smell funny, but the writing doesn’t really get any less stinky than the excerpt. Yea there should be some Federal/State/Tribal grant money to get something better than this. I’m assuming “Al-Anon” is Alcoholics Anonymous? 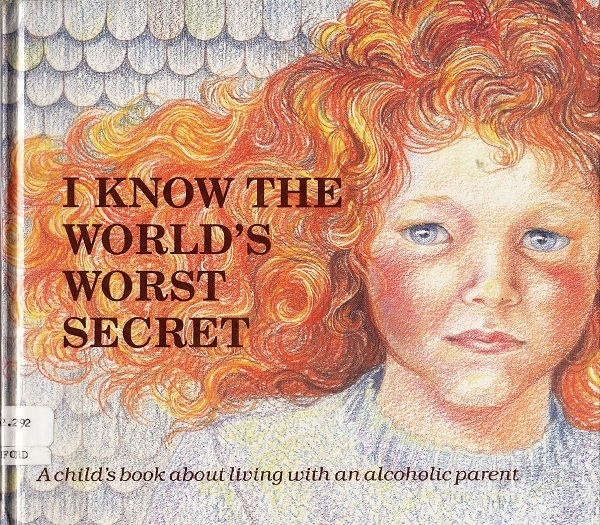 I would think that have published a more up to date book to help children with alcoholic parents. Kut is right, the cover illustration is horrible. Those are truck driver’s hands! Al-Anon is like AA, but it’s for the family members/friends who got screwed over/were roped into being a codependent/enabler to the drunk in AA. Egad. That last picture actually made me a little misty-eyed. 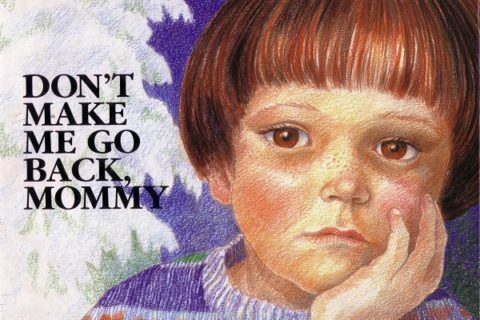 To this day, 30-some-odd years later, I have very vivid memories of living in an abusive household. My entire life revolved around that behavior. 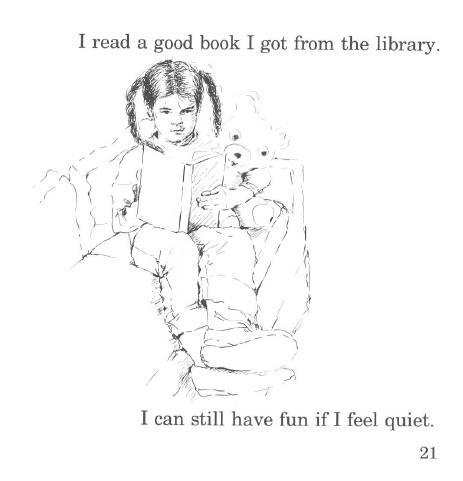 If I just read my books and stayed out of everyone’s way and was very, very quiet, the books could make me feel less sad and scared. And if I was lucky, maybe, IF I was quiet enough, and hid well enough, I would escape notice and they wouldn’t hit me any more. Only, they always hit you more. Always. So, if I had seen that book and that picture at age 10, it would Not Help. Usually I have something witty or snarky to say but all I can say is this book wouldn’t have made me feel the least bit better about my old man. 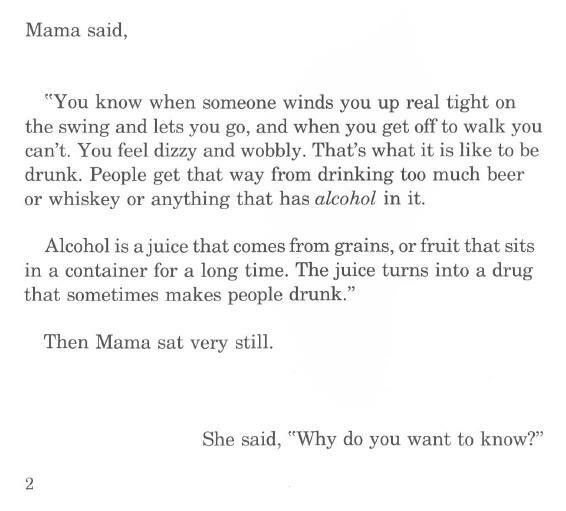 I don’t drink at all, but Mama’s description of what being drunk was like,sounds like fun. There might be a better way to describe it to children so that it doesn’t sound quite so enjoyable! @Lurker – you’re close. Alcoholics Anonymous is for the alcoholics themselves, Al-Anon is for the families of alcoholics, to help them try to cope with their situation, whether or not the alcoholic is doing anything to get help. I, too, hope they’ve put out something a little more up to date! And perhaps less intellectually insulting? 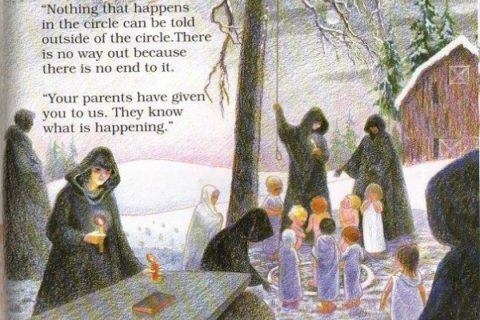 If they’d handed me this book as a child, it would have Not Helped me either. @Sarah/@Lauren: I did not know that. This book is now responsible for at least one positive piece of education. Also I agree with you; the illustrations caught me at first, but some of the text isn’t Simple English, it’s Simplistic English. Classic. 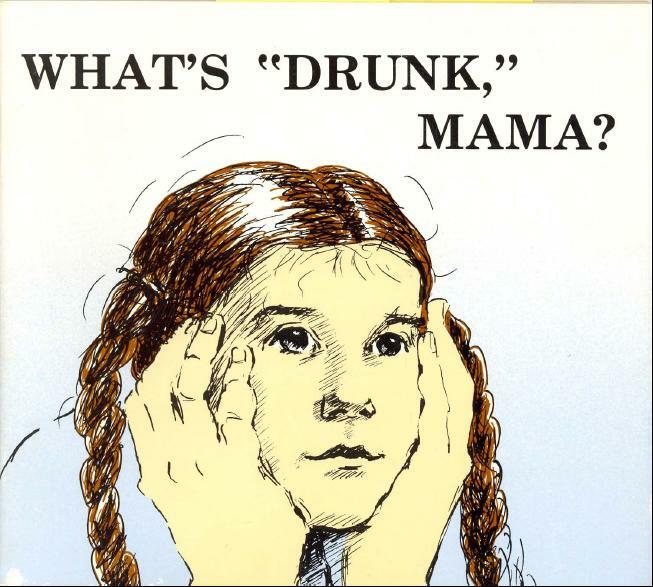 Though I must say the sequel – “What’s ‘Giant Hands Syndrome,’ Mama?” was equally engaging. Seriously, is Mama that oblivious or is she in incredibly deep denial. This book was really different. To be nice I will say it was a good attempt at introducing a child to the ala-teen program. However, this book sucked. I was sitting in the Dr’s office today with my 6 year old and we were trying to find books to read. I found this book and laughed all through it. I too grew up with the town drunk for a father. I too have been through a 12 step as an adult. Knowing the program I know the intentions of the book but I must say even in the 70’s there must have been a better way to write that book. The one part that made me lol was where it is mentioned that “dad was crossed” wish someone would upload that page. Granted I was born in 1979 and I don’t recall much 70’s slang I have never heard that term.